TOKYO—Toshiba Corporation (TOKYO: 6502) and Toshiba Tec Corporation (TOKYO: 6588) today announced that they will carry out a field test of a tourist information service built on their ground-breaking ICT technologies at Karuizawa Prince Shopping Plaza, a shopping mall operated by Seibu Properties Inc. in Karuizawa, the popular tourist destination in the hills of Japan’s Nagano prefecture. The system will create an attractive shopping experience for tourists from Japan and abroad from October 7 this year to the end of March 2017. 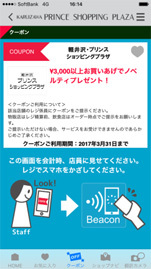 Tourists visiting Karuizawa Prince Shopping Plaza will experience the service in two ways: electronic delivery of coupons for use in stores, delivered from a beacon[*1] to their smartphones; and as a service that uses image character recognition technology[*2] to translate signs in Japanese to another language when viewed with a smartphone camera. Toshiba and Toshiba TEC will collect location information from signs filmed by tourists, and use the data to analyze and better meet the needs of visitors, while reducing the overall signage. The object of the field test is to enhance the mall’s operation and make it an even more attractive place for tourists. Prior to traveling Japan, Chinese visitors will be able to get information on Karuizawa, a popular year-round hill resort, including popular tourist spots and activities, restaurants and souvenirs, from Toshiba’s official account on WeChat (Chinese: 微信)[*3] the popular smartphone-based social messaging service operated by Tencent (Chinese:騰訊). Promoting the resort is expected to encourage visitors, and make them interested in the goods and experience on offer. 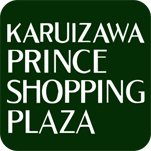 The service is accessed via a smartphone app, “Karuizawa Prince Shopping Plaza Navigation,” developed by Toshiba and Toshiba TEC and available for both iPhone and Android phones. 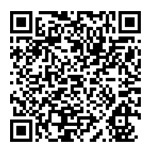 The app links to beacons in the shopping mall, and when tourists walk through a hot spot, store information and discount coupons are sent to their smartphones, in any of Japanese, English, simplified or traditional Chinese, or Korean. 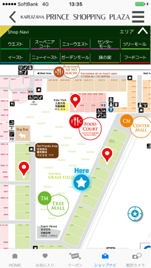 This app also provides a route guide to shops through the mall, so tourists will not get lost when they visit the large facility for the first time. The route guide also supports promotion campaigns, such as collecting stamps in the shopping mall, adding to the attractiveness of the experience for both shoppers and the mall. The facility operator will receive anonymous location information of tourists using the application, which can be utilized to analyze traffic flows, change layouts, and verify the effectiveness of advertising. One service that is expected to prove especially useful to tourists is the ability to translate Japanese signs and leaflets simply by pointing a smartphone at it. Toshiba plans to add this service to RECAIUS™[*4], the company cloud-based AI service that delivers information to people by recognizing speech and images. As an incentive to Chinese tourists to use the mall to the full, some of the stores will carry out trial runs of WeChat Payment [*5], a popular electronic payment service in China. Toshiba and Toshiba TEC will use the experience of operating the system and the field test results to improve the convenience and effectiveness of the services offered. By supporting companies and organizations that welcome tourists to Japan, and offering a “place” that connects people and information, Toshiba wants tourists to get more please and satisfaction from sightseeing and shopping in Japan, and will hope to contribute to raising the number of tourists visiting Japan, and sales growth from the tourists. Looking ahead, Toshiba plans to offer these services beyond commercial facilities and companies and organizations in the retail and service industries, to a wide range of public facilities. *1. Beacon: A device for wireless communication over short distances. *2. Camera image character recognition technology. Also called scene text recognition technology, it detects and screens text in a camera image. *3. China’s most popular messaging service. 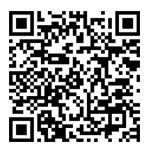 Toshiba’s WeChat ID is withtoshiba. *4. RECAIUS: A cloud-based AI service that supports various activities by understanding people’s intentions and situation from speech and images, and delivers data in an user- friendly way. *5. 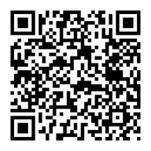 WeChat Payment is a service for Chinese tourists. NETSTARS Co., Ltd has been the Japanese agent for the service since October 2015. 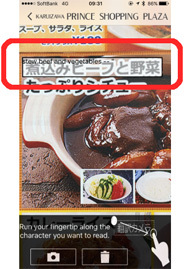 Service will be offered in the user’s choice of Japanese, English, Chinese (simplified and traditional) or Korean.